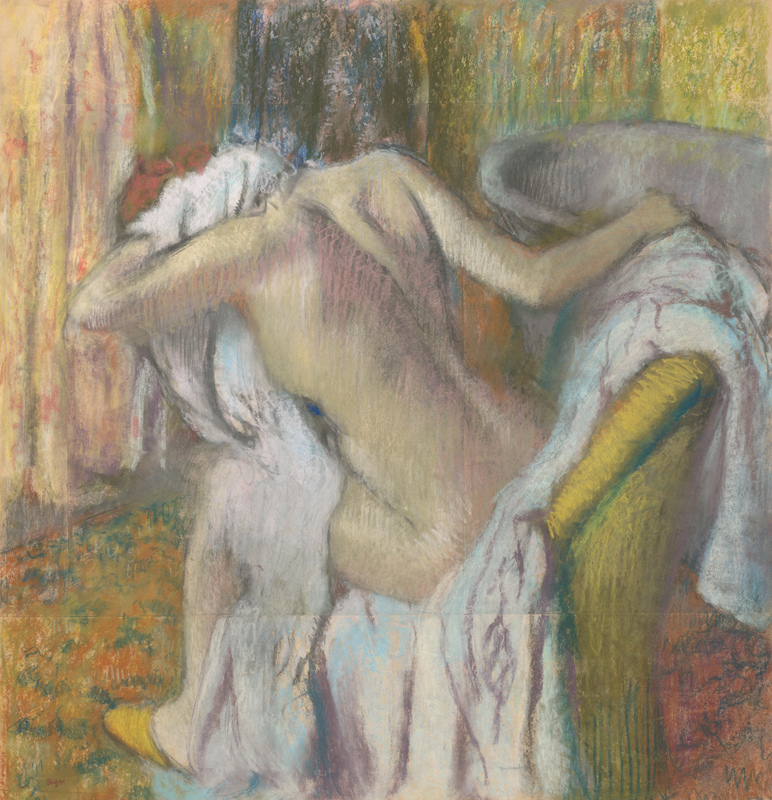 FB …..we are meat….we are constantly seeing images of the human body through X-ray photographs and that obviously does alter the beautiful Degas pastel in the National Gallery of a women sponging her back. And you will find at the very top of the spine that the spine almost comes out of the skin altogether. And it gives such a grip and twist that you’re more conscious of the vulnerability of the rest of the body than if he had drawn the spine naturally up to the neck. He breaks it so that this thing seems to protrude from the flesh. Now, whether Degas did this purposely or not, it makes it a much greater picture, because you’re suddenly conscious of the spine as well as the flesh, which he usually just painted covering the bones. In my case, these things have certainly been influenced by X-ray photographs.